St. Louis has interesting history, good food, wonderful attractions, and a host of free things to do. What follows are a few travel tips for first-time visitors to the Gateway to the West. The first thing you’ll want to decide is which area to stay in. Many travelers choose to stay in downtown St. Louis, where there are numerous hotel options. From here, you can walk to most of the top attractions in the city. There's also a MetroLink that connects downtown to the airport and much of the city. Delmar Loop, home to some of the best music in St. Louis and quite possibly the hippest spot in the city, is another good option with plenty of eclectic shops, eateries, and ideal nightlife. There are plenty of activities and attractions in St. Louis, many of which are free. I would recommend spending three to five days here. An additional day or two would give you the opportunity to explore some of the areas that are a little off the beaten track. 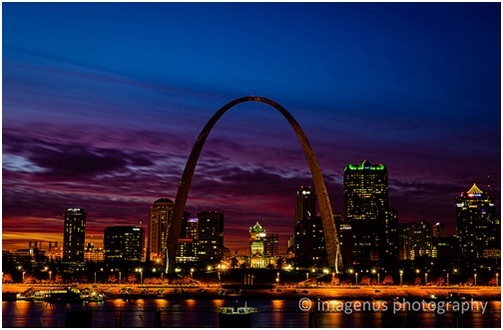 On your first day, why not visit the Gateway Arch? Be sure to arrive early, before the monument opens at 8:30 a.m., in order to avoid the queues. Save additional time by buying tickets online for the tram to the observation area. Don't miss the Missouri Botanical Garden, which houses a rainforest. Follow this up with a visit to the Saint Louis Science Center or the Butterfly House and Education Center. The Saint Louis Zoo, voted the best free attraction in the U.S, the Saint Louis Art Museum, and the Missouri History Museum in Forest Park are free and also worth a visit. Spend a couple hours in Forest Park to get a true taste of St. Louis. If the sound of a 10-story jungle gym made from recycled materials sounds appealing, make your way to the City Museum. This is an adult-friendly playground, and you can take advantage of reduced rates after 5 p.m. Speaking of fun activities, Magic House and Six Flags are good options to include for those traveling with kids. Riverboat cruises offer the perfect way to check out the riverfront. Catch a Cardinals baseball game and check out the ballpark village. Enjoy an evening of musical theater at The Muny. Take a quick look at the Cathedral Basilica. Book the free Anheuser-Busch brewery tour. Wander along Cherokee Street to soak up the urban vibe and spot plenty of graffiti and street art. Walk around Soulard, just south of downtown, for several restaurants and bars. Somewhere in between all of this, go to the Delmar Loop, South Grand, and Central West End for some shopping and dining. Why not rent a bike to discover St. Louis on two wheels? Forest Park has a bike trail, but the best option is to go to Defiance to try the Katy Trail. For something a little off the beaten path, a trip to Lone Elk Park is your best bet. A 45-minute drive will take you away from the city and bring you closer to nature. No matter what you do in St. Louis, make a point of navigating the city on foot. This is the best way to explore St. Louis and see its many interesting attractions.